Lesjöfors' market has expanded towards the agricultural sector thanks to the acquisition of another German spring manufacturer. Meanwhile, we have a strong focus in the Group on improvements and development both in technology and service. 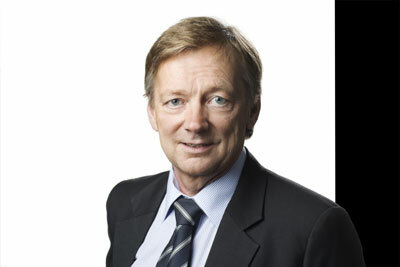 Lesjöfors has currently 18 factories in Europe and Asia. We are well equipped to take good care of our customers in many key markets with local production and technical support. In recent years we have invested in developing our business in Germany, the UK and Central Europe where we now have six factories, all with high technical expertise. We offer a product range that meets almost every need of springs and pressings. Good opportunities are also available for competitive production of wage-intensive products through our factories in several low-cost countries. In addition to expanding our strategic market area, we are throughout the Group focusing on technical development to enable optimized solutions from a functional and cost perspective. We are convinced that there are many spring solutions that can be done much more efficiently with the knowledge and technology that we possess and constantly develop within the Group. The best conditions for optimized solutions are achieved if we may be involved early in the development process. We can advise and assist e.g. in the choice of design, material and manufacturing process ensuring a competitive product that well meets the performance requirements. Our engineers are ready to provide the best service for you and we invest continuously to improve our solutions further. The development of the Lesjöfors Group is stable, but we are of course affected by the global fluctuations in the economy. The very good cooperation with our customers has resulted in new business at a historically high level. This generates opportunities for continued stability and investments that develops our business further and in the long run benefits our customers. We are very happy and proud of the excellent cooperation and we will continue to do everything we can, and a little more, to give you the best service!